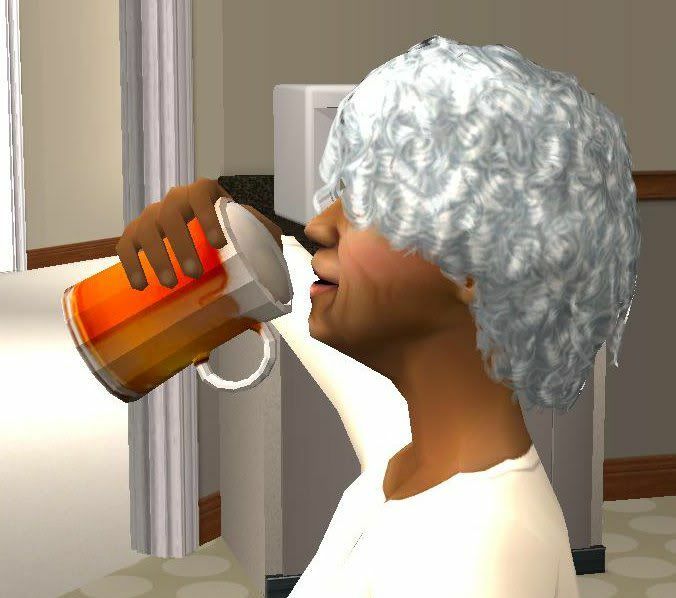 Grand Duchess Emerald at sapphiresims gave me permission to edit her meshes when she was an active creator, so since sapphire is now back online I downloaded her mug of beer found here and made it drinkable, which is something I had been meaning to do for some time even when sapphiresims was online. It was cloned from instant meal so kids can't make them (but they can drink them) like real life. 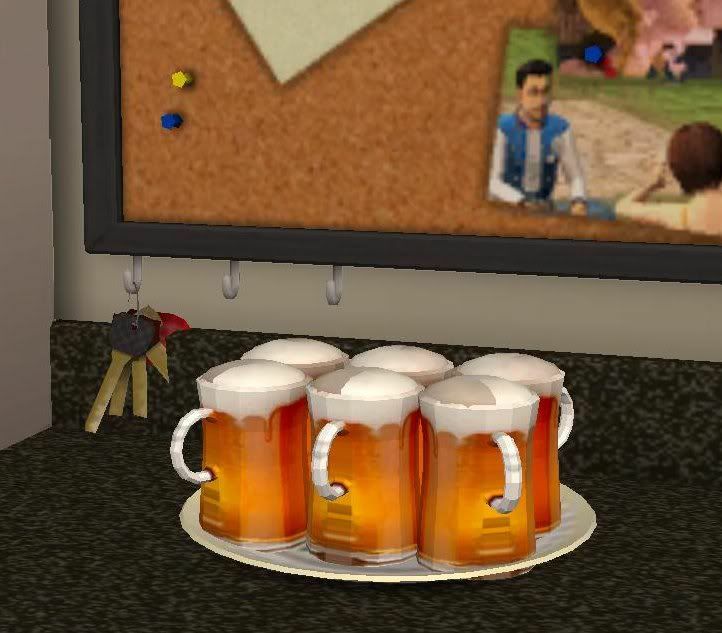 It's available for all 3 meals found in your Sim's fridge under have a drink.../mug of beer or serve drinks.../mug of beer. Enjoy! This is just what I'm looking for to help set the stage for my Miss Germany this month, Jonathon. Thank you for sharing your talent with us, as always. PS I just tried to download it and the file is no longer available! Bummer! If you still have a copy of it somewhere, will you contact me through PM at Sugah's Place, good sir? Thank you kindly!